To mark National Work from Home Day on Friday, today’s post focuses on how to make the most of the space you allocate for your home office. As part of Work Wise Week this week and National Work from Home Day on Friday, today’s post focuses on how to make the most of the space you allocate for your home office. The size of your home office and how much time and money you devote to it often depends on how much you’ll be using it. If you’re a freelancer and work from home on a permanent basis, chances are a small flip down shelf is unlikely to cut the mustard. 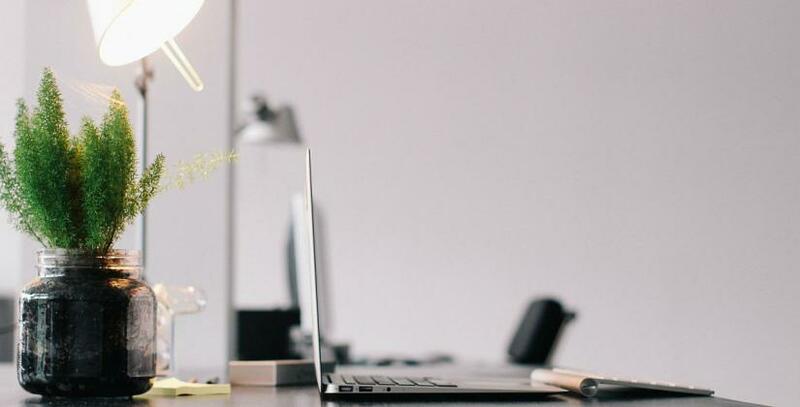 But if you’re starting up a business and only working from home occasionally, you may want something that takes up as little room as possible, while still giving you a defined working area. Do you need a separate work area? It’s a space for all your work items. How much equipment and paperwork you have will depend on the type of business you run, but chances are, you’ll have more than just a laptop, so it makes sense to keep these items together. It allows you to set up a properly designed workplace, with ergonomic furniture, good lighting and space for your laptop, tablet or pc at the right height and distance so you’re not straining your body unnecessarily while working. You can decorate or display items that will help to keep you focused or inspired at work when you feel your motivation flagging. Assuming you want to create or already have a home office, here are some tips on how to make the most of the space you choose – whether it’s an entire room or a space that converts into a work area. Even in small homes there are generally some areas that are used less than others. Often they’re the places where the junk collects, such as space under the stairs, a landing at the top of the stairs, a bay window or a corner of a room. It’s generally easier to set up your office in an area that you don’t currently use very much, as you’ll be able to define this space as your working area from the start. If you work at the dining table for example, you may find its other uses encroaching upon your working time, or that your family constantly interrupts you. If you can’t find an area, consider a mobile workspace that you can move around and put it somewhere out of the way when you’re not using it. Or if you have the resources to commit and want to separate your work from your home life, you could transform a garden shed or outbuilding to a fully-functional office. If you have limited space or don’t want your office to take over, don’t forget to make use of your vertical space. Sturdy shelves above your desk can be used for storing all your important documents and items such as printers or scanners, reducing the amount of floor space your office takes up. You can also take advantage of more unusual storage solutions, such as desks with compartments or shelves and wall-mounted solutions to keep items you regularly need within handy reach. using modular shelving units to partition the space. These give you more privacy while working, but don’t close it off with a door. Plus you can use them for your business documents and equipment and they can be moved around if you find you need more or less space. a folding screen. This is a less permanent structure, but can help you to focus and stop your eye straying from the TV or conversely ‘hide’ your work when you want to relax. If you don’t need an entire room, you could consider adapting a cupboard. The lower end becomes your desk area and the upper part gives you storage. You can have items on the door to help you while you work, but at the end of the day, you can simply close the doors on your work. If your home office is part of a room with another function, while you may want a defined working space, you might also want to integrate it so that it doesn’t stand out against the rest of the room. This can be done through the use of colour and the style of furniture you use or you could choose to ‘hide’ your office by creating a wardrobe office, outlined above or using furniture that doubles up as office furniture = see the image of a chest of drawers /desk. There are plenty of ways to get creative with how you use your space. However you create your working space at home, remember that it should be personal to you and a place that helps you to focus. Don’t forget, Bizspace have several support services to help you with your business, from meeting and conference rooms, to a mailbox and virtual office service and our newest product, The Work Lounge, our coworking space.